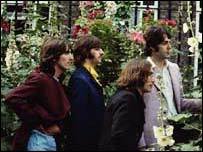 A collection of Beatles photographs are to have their first major exhibition in the UK at the Matthew Street Gallery in Liverpool. They were taken by acclaimed photographer Tom Murray and were the last official publicity photographs by the group. 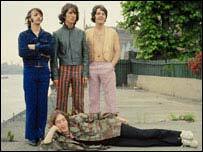 They were all taken in one day in 1968 and are collectively called "The Mad Day: Summer of '68". Speaking to BBC News Online about the exhibition in the Fab Four's home town, Mr Murray said: "I'm bringing the boys home." Some of the photographs will also form part of the permanent display at London's new Docklands gallery, which is due to open in the summer. Mr Murray said it was an incredible experience to photograph the world's biggest band, but said he was somewhat shocked when he arrived for the shoot. "The thing was I didn't know who it would be," said Mr Murray, who was 25 at the time but had already photographed stars such as Adam Faith and Cliff Richard. "(War photographer) Don McCullum asked me if I would come and photograph a pop group. I said sure. "When I arrived, I heard someone playing Lady Madonna and it was Paul McCartney on the piano. John Lennon was standing nearby with Yoko and there was George and Ringo. "I was a bit surprised." He said the band had wanted to have "one last photoshoot" for publicity. The photographs are for the most part relaxed with the band clearly in a playful mood, hiding the disputes and rows which had soured their relationship by 1968. 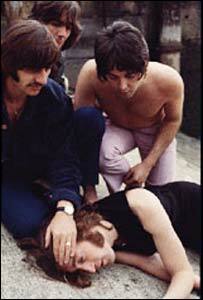 But in one of them, John had jokingly pretended to faint. The rest of the band did not know he was messing about and gathered around him, looking concerned. One of them removed his glasses. Twelve years later, when John was shot dead by a crazed fan, Time magazine considered using it on the cover. "They decided not to, because it was just too spooky," Mr Murray said. The photographs are today estimated to be worth $2.3m, and prints have sold for up to £12,000 at charity auctions. Mr Murray has pledged to auction all of the prints in aid of the Make A Wish Foundation. The exhibition runs at the Matthew Street Gallery - just yards from the original Cavern Club - from 25 April until 30 June. After that they will be on permanent display at the gallery. "I think it's appropriate to have them here in Liverpool," Mr Murray added. "I'm bringing the boys home."